It’s barbecue season once more which means loads of healthy and fabulous tasting food. Meat, fish and vegetables all take on extra flavour when barbecued. It’s also easy to make simple food taste good in summer as the fruit and vegetables in the shops are often grown closer to home and are naturally full of flavour. A dash of olive oil, lemon juice and fresh herbs is all it takes. Serve everything with a big salad. Finely chop 1/2 onion and add to 500g mince together with 1 tsp wholegrain mustard and a good dash of salt. Mix thoroughly and shape into patties with your hands, large for the adults and smaller ones for the kids. 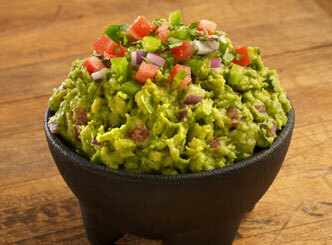 Elevate the humble hot dog by smearing it in homemade guacamole. Just buy the best quality sausages you can and this makes a fantastic combination! Mash the flesh of 2 ripe avocados using a large fork. Add to this 1/2 small red onion which has been finely chopped, 1 clove crushed garlic, juice of 1/2 lemon, 1 small red chilli (optional) and 2 tbsps olive oil. Mix together and serve within a couple of hours. Thickly slice courgettes, wash mushrooms and chop peppers into squares to be threaded onto kebab sticks. Mix together 1 tbsp olive oil, a squeeze of lemon juice and 1 tsp dried Italian herbs into a bowl and stir in the chopped veggies. Leave for 1 hour. Thread the veggies onto wet kebab sticks (to prevent them burning) and cook on the barbie. Sweetcorn needs no embellishment except the flames of the barbecue to bring out its flavour. 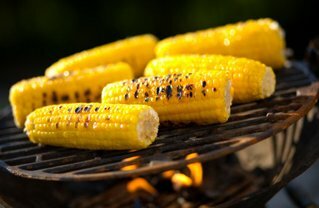 Simply chop a whole cob into two or three pieces and barbecue until the outside is slightly blackened and the corn is soft. See recipes page for a fab barbecue side. Spray the grill with oil and cook fish fillets such as salmon, tuna or swordfish as meat or wrap a whole fish, such as trout or snapper in foil and place on the barbecue. Cook for approx.15 minutes. Slice a courgette and / or pepper lengthways and barbecue for a sweet and smoky flavour. Combine 100ml soy sauce (salt reduced is best), 50ml honey, 1 crushed garlic clove, 2cm ginger, finely chopped and 2 tsps sesame seeds in a large bowl. Add 8 chicken drumsticks and stir around to coat the chicken. Leave to marinade for at least 2 hours. 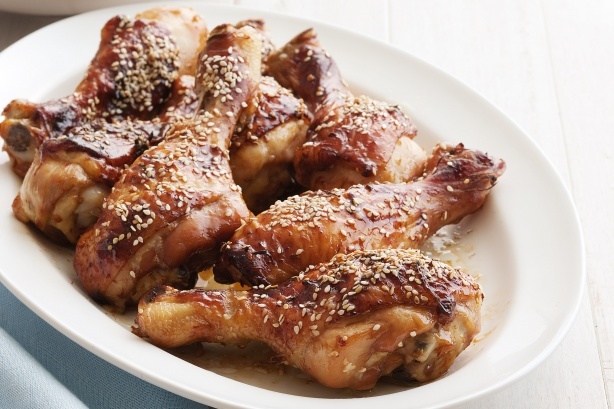 Cook the chicken in the oven for 25-30 mins then finish off on the barbecue. Next PostLow carb or gluten free?